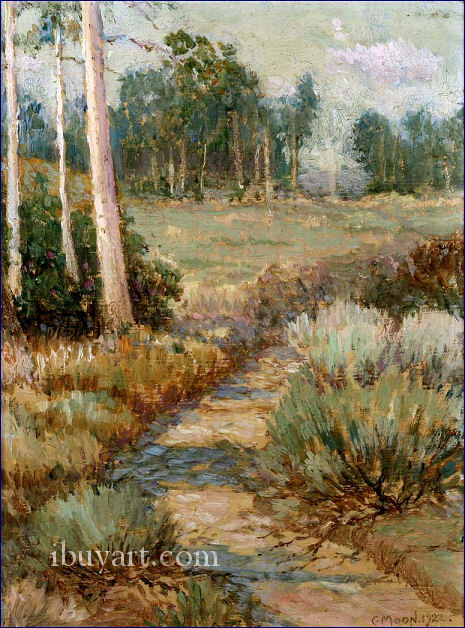 Please click here to sell your Carl Moon painting or receive a free art evaluation of your piece. 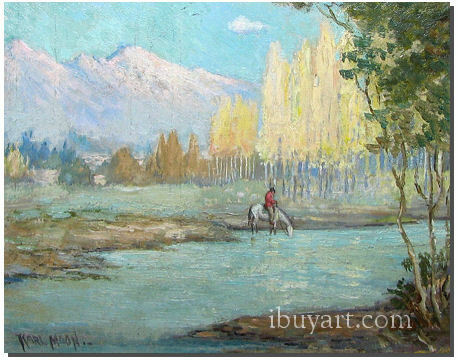 Click to review some of the paintings we've recently purchased by Carl Moon. Member: The Cartoonist Club and the Pasadena Art Association. Born in Wilmington, Ohio, Carl Moon became a photographer, painter, and illustrator who moved to Albuquerque, New Mexico as a young man where he operated a photography studio. In 1907, Moon moved into the Grand Canyon headquarters of Fred Harvey to manage Harvey's art business. He studied landscape painting with visiting artists Louis Akin, Thomas Moran, and Frank Sauerwein, and he also took many photographs and films of Pueblo Indians. 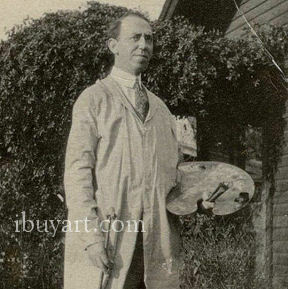 In 1911, Carl married artist Grace Purdie and settled in Pasadena. He focused on landscape painting and illustrating children's stories co-authored with his wife. Carl Moon was a member of The Cartoonist Club and the Pasadena Art Association.